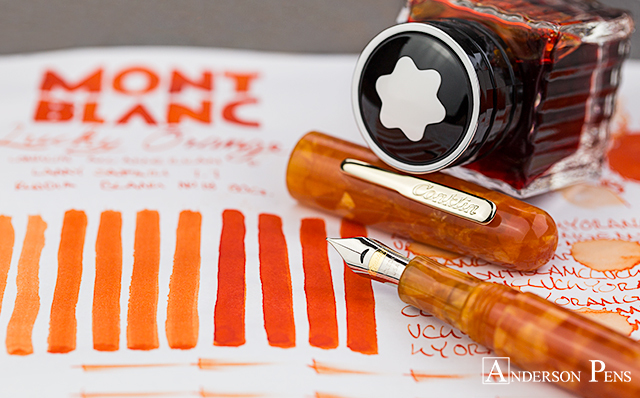 Montblanc’s newest special edition ink doesn’t need any luck – it stands by itself as a vibrant tangerine orange. Those of you who were looking for a bit more color with Miles Davis look no further, Lucky Orange is here. 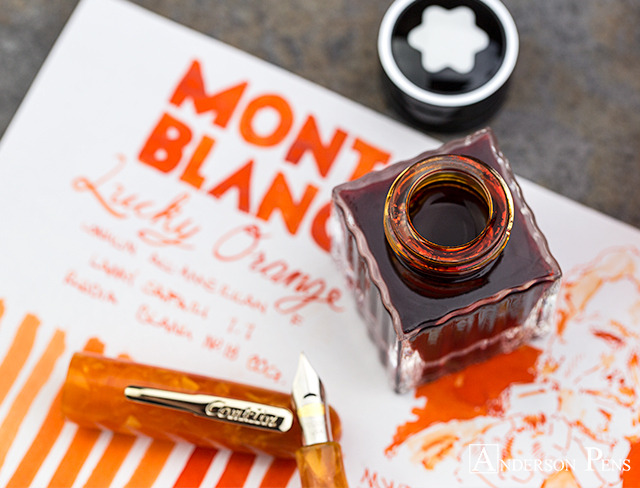 Lucky Orange is a special edition ink and comes in Montblanc’s beautiful 30ml glass bottle or short international cartridges. Whether you’re looking to add a punch of color to your writing or just in need of a little luck, this is the ink for you. 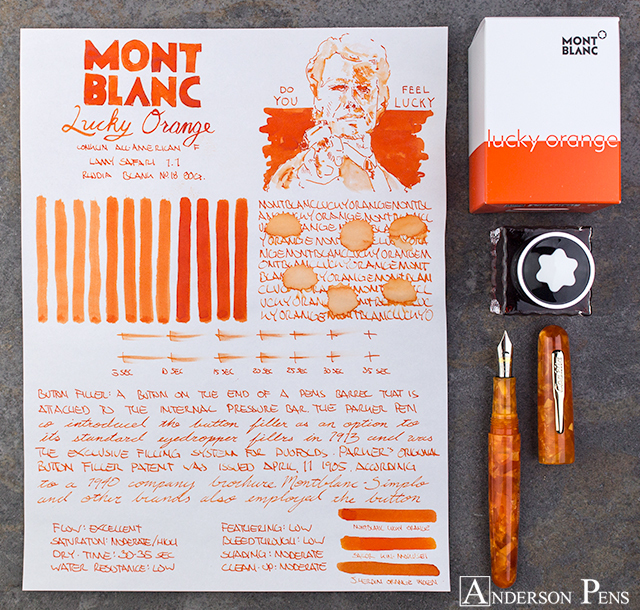 This review was done with a Conklin All American F, Lamy Safari 1.1, and on Rhodia No. 18 blank paper. 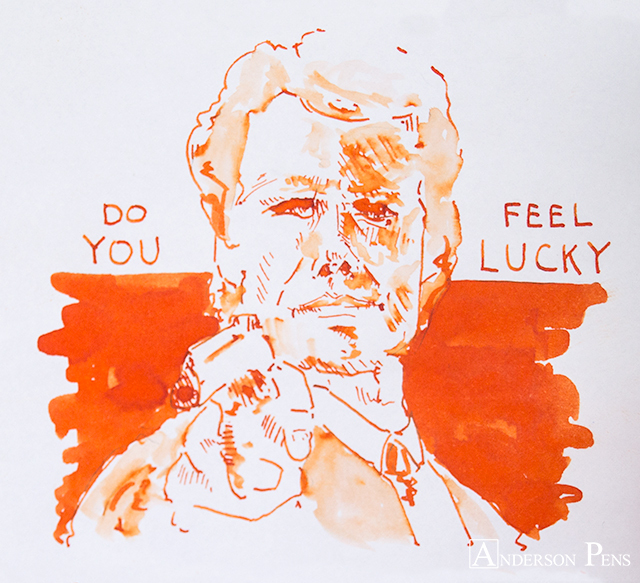 Lucky Orange is a saturated bright tangerine orange. 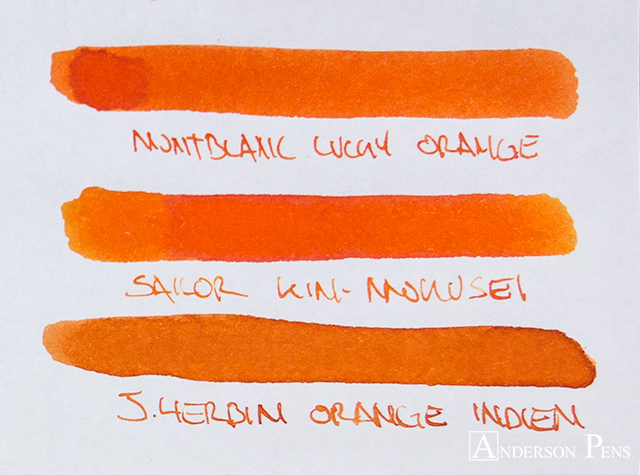 In a finer nib, the ink does not shade much and the color has a darker carrot color. 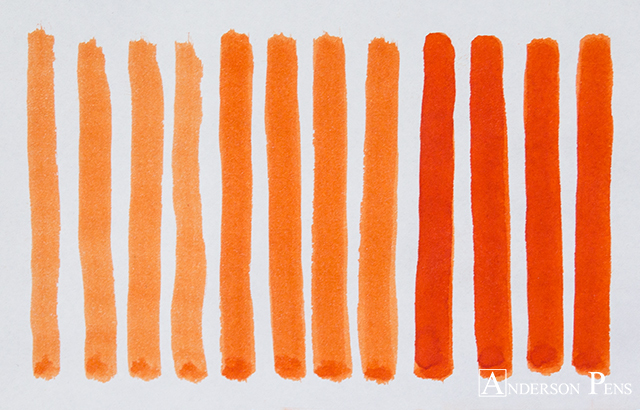 With a stub nib, the ink shaded enough to show a lighter marigold color that contrasted beautifully to the vibrant tangerine orange. The ink is more saturated than Sailor’s Kin-Mokusei, but the color is very close. 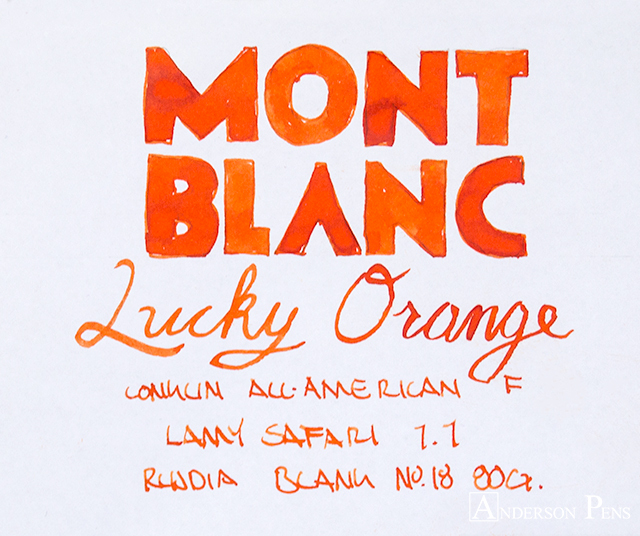 Like most Montblanc ink, Lucky Orange performed admirably on Rhodia paper. The flow was excellent, with no feathering or bleedthrough. The saturation is rather high and that lead to a moderate amount of clean up; no staining but the ink took a few more flushes to get completely out of my pens. Dry times were higher at 30-35 seconds, and the water resistance was nonexistent. I think Lucky Orange makes up for the underwhelming color of Miles Davis. While Miles Davis is a nice understated color, it does’t grab your attention like Lucky Orange or some of the other special edition inks. 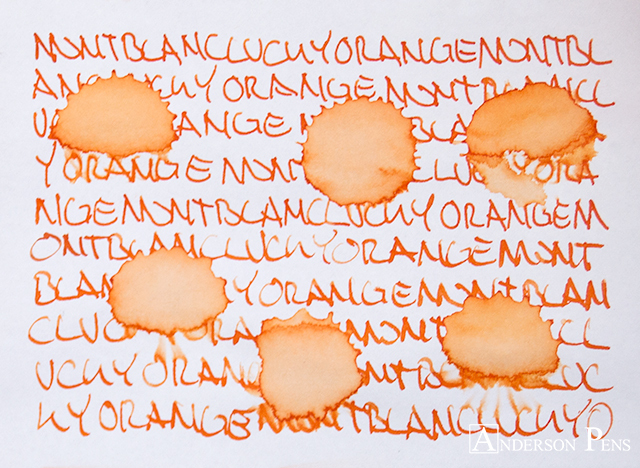 Even as an orange ink there is no issue with readability. If you’re looking to start the new year off with a bit of luck maybe this ink will do the trick. As with any ink review, the pen, paper, and person doing the writing will influence the way the ink looks. If you’re not sure about a color, try a sample to see if it’s the color for you. This entry was posted in Ink, Ink Reviews, thINKthursday and tagged ink, ink review, Montblanc, thINKthursday. Bookmark the permalink.